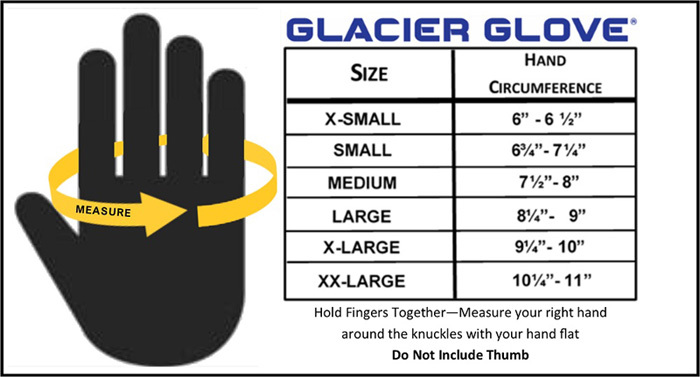 Glacier Glove presents to you their warmest glove yet- the Ice Bay. 100% Waterproof with thick 2 mm Fleece-lined neoprene with blind stitched and glued seams. The perfect choice for those who love to ice fish and do other extreme clod weather activities. Our Ice Bay glove is our favorite. 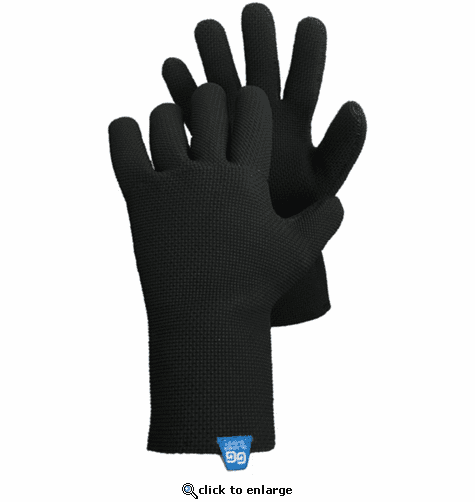 Designed to completely keep you warm and dry, these gloves are great for any outdoor activity. At Glacier Glove, we live to be outside. Whether we are in the sun, wind, rain or snow, we constantly want to experience all Mother Nature has to offer. We spend as much time as possible outdoors and found that we enjoy it most when we are comfortable. We strive to find new ways to protect you without sacrificing dexterity. We seek out the best materials, best practices and undying passion to be outside. This mission goes into every product design. The Glacier Glove legacy began in 1982 when we made our first fishing gloves. Standing on the cold shores of Pyramid Lake, Nevada, the inspiration for our first model was born. Since that day we have continued to enhance our products by finding better fabrics and improved designs. In 1998, we launched into sun protection gloves and hats. Today we are continuing to expand our line with products that carry the same high-level of quality and performance. Glacier Gloves customers encompass a diverse audience. We started by reaching out to fishermen and hunters and in time, we have found paddlers, ice climbers, hikers, and horseback riders also find Glacier Gloves to be a great fit. Many government and military sources use Glacier Gloves, including Navy Seals and the U.S. Coast Guard. Many professional teams on Antarctic expeditions, climbers on Mt. Everest and Aconcagua have also used our gloves. The U.S. Treasury Department used our product during the 2002 Winter Olympics. We are proud to have met the needs of these various groups. Glacier Glove continues to set the standards in the materials, workmanship, and quality that outdoor enthusiasts want and need. We strive to offer the best value to our customers and guarantee satisfaction.